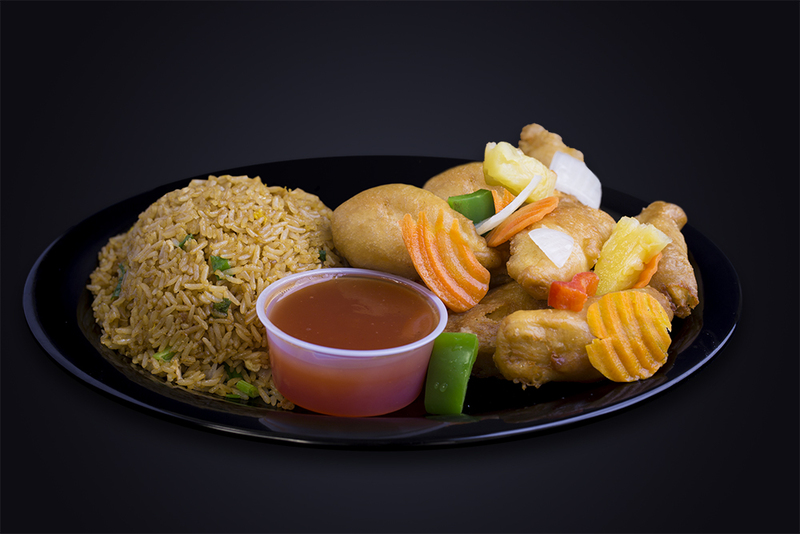 This specialty plate is made with bell peppers, carrots, onions, pineapples, and Wok Inn's sweet and sour sauce. Choose from either chicken, pork or shrimp. Served with steamed white or whole grain rice and soup.